Graham Rahal dominated the opening round of the double-header at Belle Isle, Detroit, to score his first win of the IndyCar season, holding off Scott Dixon and James Hinchcliffe to lead a Honda 1-2-3. Rahal’s polesitting Rahal Letterman Lanigan Racing-Honda held onto the lead at the start, followed by the Penske-Chevrolet of Helio Castroneves, while Andretti Autosport-Honda teammates Takuma Sato and Alexander Rossi gave each other room and held station in third and fourth. However, fifth-placed starter Hinchcliffe spun to the inside at turn 2, bringing out the full-course yellow. 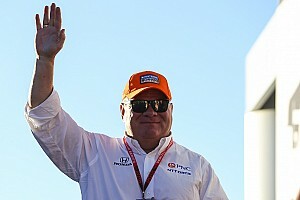 Ganassi’s Dixon held off Penske pair Simon Pagenaud and Josef Newgarden, Ganassi pair Max Chilton and Charlie Kimball, Penske’s Will Power, Andretti Autosport’s remaining drivers Ryan Hunter-Reay and Marco Andretti, AJ Foyt Racing-Chevrolet’s Carlos Munoz and Ganassi’s Tony Kanaan. Spencer Pigot, Mikhail Aleshin and Oriol Servia took the full-course yellow opportunity to pit. At the restart, Andretti passed Hunter-Reay for 11th but the only other change was that at the end of Lap 5, as Kanaan ducked into the pits to switch from reds to blacks - a move emulated by Andretti three laps later, and Hunter-Reay a lap after that. The Andretti cars would emerge ahead of Kanaan. Newgarden pitted from seventh to get off the reds onto blacks as early on Lap 10 and resumed in 17th. Pagenaud and Kimball then pitted at the end of Lap 11. Rahal was 2sec ahead of Castroneves by Lap 12, but the Brazilian then pitted to change from the alternate compound to the primary tires, leaving Rahal with a 7sec lead over Sato. Behind them ran Rossi, Dixon and Power, who had just passed Chilton for fifth. Daly, the first driver to start on the blacks, was tailing Chilton on Lap 15 and was ready to pass when Chilton ducked into the pits, as up ahead Sato did likewise. Rahal had an 11.2sec lead over Rossi on Lap 16, with Dixon, Power and Daly behind. Of this group, Power was the first to blink, ducking into the pits on Lap 19, and emerged just ahead of Pagenaud, but couldn’t quite hold off the reigning champion and ceded 12th place. Rahal had a lead of 14.5sec over Rossi by the time he pitted at the end of Lap 22, and Rossi followed suit. 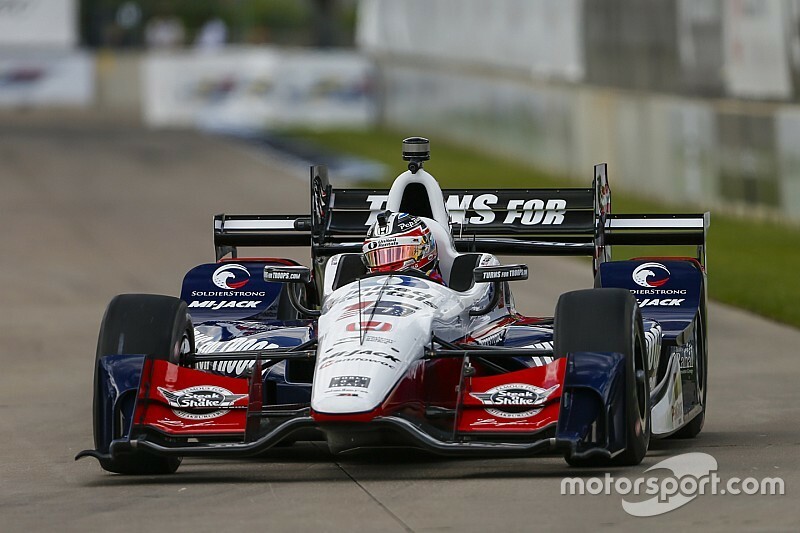 Rahal emerged behind Newgarden and Castroneves. Dixon waited another lap before pitting from the lead, leaving Schmidt Peterson pair Aleshin and Hinchcliffe at the front thanks to their early stops. When the pair pitted, it left Castroneves and Newgarden running 1-2 on a three-stop strategy, with Rahal six seconds behind in third having the option of a two-stop, having run so deep into the race before making his first stop. He was ahead of Sato and Rossi. Then the full-course yellow flew for a Turn 3 collision between Kimball and Daly, leaving the Ganassi driver missing a front wing endplate after Daly's car abruptly came to a halt in front of him. Although Kimball got going again, Daly’s car couldn’t be restarted. Castroneves led Newgarden, Rahal, Sato, Rossi, Hinchcliffe, Dixon, Aleshin, Pagenaud, Power, Chilton and Hunter-Reay as the top dozen. But Hunter-Reay, Andretti, Kanaan and Munoz took the opportunity to pit, as did Newgarden from second. On the Lap 31 restart, the top seven stayed in line, but Power put a big move on Pagenaud into Turn 4 that forced the Frenchman to lose two more places to Chilton and JR Hildebrand and moved the Aussie into eighth. Behind, Andretti made a similar pass on Hunter-Reay as the pair plus Kanaan and Munoz put a collective move on series debutant Esteban Gutierrez in the Dale Coyne Racing-Honda. Newgarden’s new tires were helping him move forward swiftly and by Lap 33 he was up to 12th. Another Penske driver who was flying was Castroneves, who knew he had two more stops to make. In just five laps he pulled more than five seconds on Rahal, before pitting. Also stopping at this point was Pagenaud. That left Rahal leading Sato by an impressive 4.5sec, chased hard by Rossi, Hinchcliffe, Dixon, Aleshin. Power was seven seconds adrift of the Russian, as he tried to save fuel to make it on two stops, just holding off Chilton, Newgarden, Jones and Servia. Castroneves’ pitstop saw him filter back into 12th. Hinchcliffe was desperately looking for a way past Rossi for third on Lap 38, while three-stopping Newgarden passed Chilton and swiftly moved onto the tail of two-stopping Power, who let his teammate into sixth on Lap 41. Chilton meanwhile stopped on Lap 40, with Sato pitting from second on Lap 41. 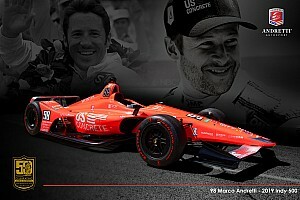 The Indy 500 winner emerged in 16th. By Lap 43 Rahal was still setting fastest laps and pulling away from Rossi, who was now 8.3sec behind, and still under pressure from Hinchcliffe, with Dixon 2sec adrift. Power ducked out of seventh and into the pits at the end of Lap 44; he emerged in 20th and fueled to the end. Jones ducked out of the Top 10 for his final stop, albeit 50sec behind the leader. His race was ruined by not being quite in the two-stop window and desperately having to save fuel. Rahal, Rossi, Aleshin and Pigot pitted on Lap 48, Hinchcliffe on Lap 49 after leading a lap, Dixon and Newgarden stopped on Lap 50, and that was enough to see Rahal and Castroneves back into first and second. However, Castroneves would have to stop again, which he did at the end of Lap 52. Following the final stops, Rahal was left with a nine-second lead on Dixon, ahead of Hinchcliffe, Rossi, Newgarden, Aleshin, Sato, Chilton, Castroneves and Jones, but Newgarden grabbed fourth from Rossi on Lap 58. 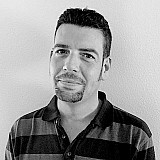 The frontrunners were setting their fastest laps toward the end of the race with Dixon chipping tenths here and there from Rahal, but eventually finished 6.1sec shy, as Rahal became the seventh different winner in the first seven races of the season with his fifth career IndyCar victory. Hinchcliffe vs Newgarden fighting for third was the closest battle in the closing stages of the race, as Rossi held off Aleshin, Sato, Castroneves, Jones and Pigot. However, Sato couldn’t make the fuel mileage and ducked into the pits for a 'splash 'n dash' with five laps to go, re-emerging in eighth, promoting Castroneves to seventh.